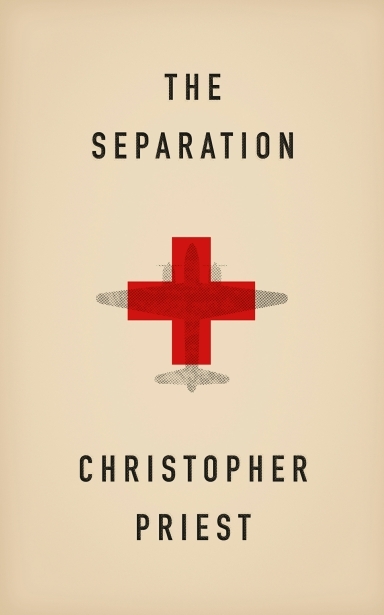 First published in 2002, The Separation is a novel about the Second World War, with an unusual story of great range and complexity. The ‘separation’ of the title has two main meanings within the story, and it is the contrast of these that creates the complex plot. In the first place there is a separation between two brothers. Their names are Joe and Jack and they are identical twins, frequently mistaken for each other. Before the war they are athletes and take part in Hitler’s Olympic Games in Berlin in 1936. When they leave Berlin at the end of the games they smuggle back to the UK a family friend: a young German Jewish woman called Birgit. Once safely in England Birgit marries one of the brothers, while the other continues to love her passionately. At the outbreak of war in 1939 there is a further separation between the twins. Joe is a pacifist and works for the Red Cross as an ambulance driver during the Blitz. Jack is an officer in the Royal Air Force, and flies bombers in the campaign of saturation bombing against German cities. Much of the story of the book concerns these two young men as they try to resolve the emotional and moral differences between them. The second separation deals with the state of war between Britain and Germany in 1941 (before the USA, the Soviet Union and Japan became involved). Throughout these early months of the war there were several attempts to forge a separate peace between the two countries. Several approaches are known to have been made through intermediaries. Notable amongst these initiatives was the bizarre adventure in May 1941, in which Rudolf Hess flew to Scotland. Hess was Hitler’s deputy and one of the Führer’s closest and most trusted colleagues. Hess brought a peace plan – in our history this was never explored, and Winston Churchill refused to have anything to do with it. The novel enquires: what was in Hess’s peace plan, and what might have followed if Churchill had been persuaded to negotiate? The two brothers, Joe and Jack, become involved in different ways with this peace process. Rights to The Separation are available. The novel remains in print both in paperback book form, and as an ebook.